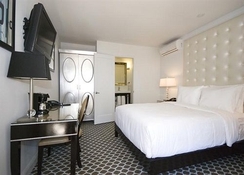 Located right on Westwood Boulevard, guests are just footsteps away from shopping, dining, entertainment and Los Angeles' premier attractions. 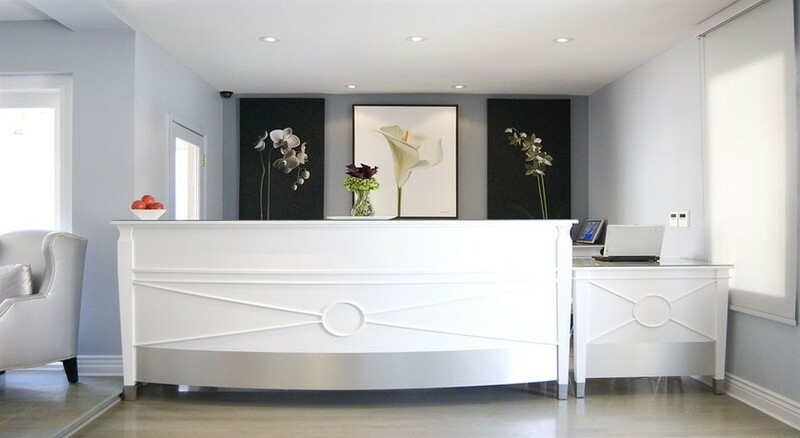 Ideally situated just south of Westwood Village and west of Century City, the hotel serves as a perfect home base for guests' journey to West Los Angeles' many attractions. UCLA is some 3 km away and the Hollywood Bowl is about 14 km from the establishment. 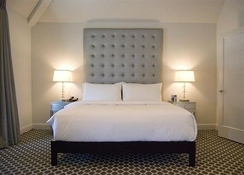 The airports of Los Angeles International, Bob Hope, Long Beach Municipal and John Wayne are about 14 km, 32 km, 46 km and 77 km away, respectively.The hotel's rich furnishings and quiet surroundings provide the perfect retreat for exploring LA's hotspots. 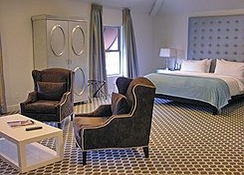 Complimentary wireless Internet access is available throughout the hotel. Other amenities include self-parking (surcharge) and multilingual staff. There are 28 rooms in total at this city hotel. 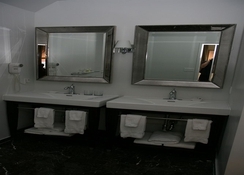 Guests are welcomed in the lobby with 24-hour reception and check-out services, and a cloakroom. Air conditioning and a breakfast room also feature.Each of the hotel's 28 rooms is luxuriously appointed with elegant custom-made furnishings and designed with the discerning business or leisure traveller in mind. All include flat-panel TVs with cable. 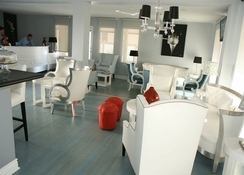 The wireless and wired high-speed Internet access is complimentary. Coffee/tea makers are also provided. The rooms are all en suite with a shower, bath and hairdryer. Double or king-size bed, a radio, ironing set and individually regulated air conditioning also come as standard in all rooms.There is a small fitness room on-site.The hotel offers continental breakfast each morning (surcharge). 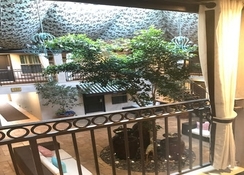 Guests can relax with complimentary coffee, tea and cookies in the covered courtyard.Directions from LAX (Los Angeles International Airport):Follow signs for Century Blvd and merge onto West Century Blvd. Merge onto I-405 N on the right. Exit National Blvd. Turn right. Turn left at Westwood Blvd. The Hotel will be on the right, just after you pass Pico Blvd.